Think the Mazda Miata is too new to be considered a classic? Think again: Those earliest cars are now 27 years old. The first-generation Miata ran from 1990 through 1997 and remains a faithful companion thanks to its great performance, high build quality and strong parts support. Plus, the top goes down. Just purchased your own Miata and want to start improving it? I’d focus first on maximizing its best trait: handling. Get a set of performance shocks and springs so the car rides a little stiffer and a little lower. I’d also add a short-throw shifter. Switching to lightweight aftermarket wheels is a common upgrade that keeps rolling mass down. Sticky tires add to the fun. Performance brake pads are a plus, too, but read up on how to replace the rear units–the process is different in Miatas compared to many other cars. I usually add Hawk HP Plus pads to all my vehicles. First-generation cars typically don’t need larger brakes because they are fairly underpowered. Just use a more aggressive compound. The placement of cupholders from the factory makes it nearly impossible to secure a beverage and shift at the same time. IL Motorsport makes a redesigned center console that moves the cupholders out from under your wrist. It’s not a cheap part, but it’s worth every penny. If your Miata needs a new convertible top, check out replacements made with canvas instead of the stock vinyl. Canvas is easier to open and close in cold weather, and it looks a little more high end. Go for a glass window, too, unless your car must remain OEM; the small plastic window needs special love and attention to keep looking nice. Or, simply bolt on a hardtop for chassis rigidity and a better view out the rear. Contrary to some owners’ beliefs, simple muffler and air intake modifications add little to no power to these cars. However, a good-sounding muffler can make for a more spirited driving experience. When it’s time for timing belt maintenance, go ahead and change the water pump as well. On 1990–’91 cars, watch that crank pulley key/keyway issue. We’ll get to that in a few. Advance the timing from the stock 10 BTDC to 12 or 14 degrees. If you do, be sure to use a higher-octane gas. A stock first-generation Miata at 10 degrees uses 87 octane just fine, though. 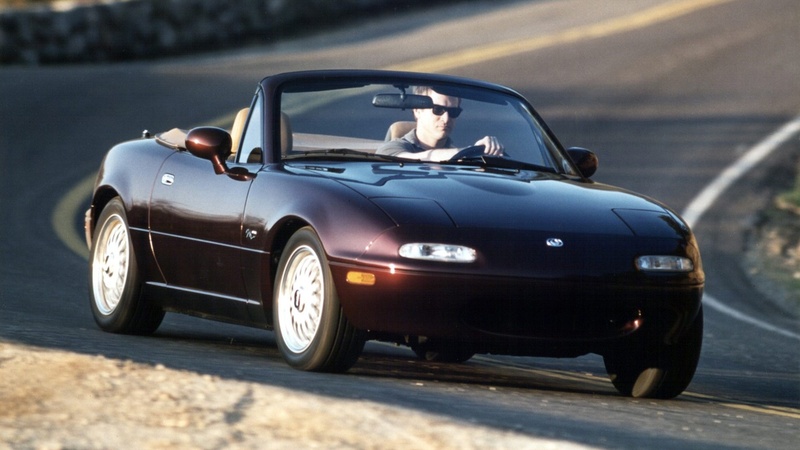 Which early Miata should you buy? I would target a 1994–’95 car since it has the 1.8-liter engine with OBDI; it offers a great combo of simplicity and a little more horsepower. If you want a lighter, more tossable car with less power, a 1.6-liter car is a good option. When shopping, remember that lower mileage is always better. Check Carfax for any collision reports, too. 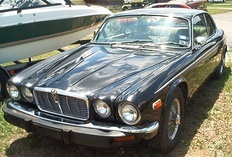 Many of these cars have been modified. This can be a blessing and a curse. Make sure any modifications are ones you would have done anyway. They could become a can of worms that you have to fight through to correct later. Another potential source of headaches is any aftermarket alarm system that’s been installed and/or disabled over the car’s life. Early first-generation cars (1990–’93) have the 1.6-liter engine. Besides being the smallest and providing the lowest horsepower output of all Miata engines sold in North America, the very earliest engines have a “short nose” crankshaft that can be prone to failure if maintenance work around it and the pulley are done incorrectly. Look for crankshaft pulley wobble while the car is running. That’s a sign that the key holding the pulley has worn the keyway loose, or the pulley bolt was insufficiently tightened after service and has stretched the bolt. Either leads to a broken crankshaft. But I’ve owned my 1990 for almost 10 years, 203,000 miles–still running the original 1.6-liter engine, even with that crank pulley issue. The earliest cars also had the least amount of chassis bracing and stiffening. This can actually be a good thing, since the earliest cars are the lightest. But a regular complaint is cowl shake–when you hit a bump while driving, it feels like the front of the car shakes differently than the rear. It’s fairly disconcerting at first. The windshield cowl also visibly flexes and shakes. There are two factory braces that Mazda started adding in 1 992 and 1 994. You can bolt them onto an earlier car to help with cowl shake. Installing a hard top also helps immensely, but that’s not a permanent fix. Some believe adding Delrin door bushings also helps strengthen the chassis. There are a couple of different brands of front fender braces in the aftermarket–Garage Star and Boss Frog–that you could add. All the bolt-on braces add weight, of course. These cars are definitely not immune to body rot. Keep an eye on the bottoms of the fenders, rocker panels, floor pan, door hinges, and the jack well in the trunk. There are drain holes that can get clogged, which leads to rust growth. Check the trunk for signs of leaks. If the convertible top’s rain rail has cracked–this is common with age–water can get into the trunk. Some of the most common headaches for these cars are the basic oil leaks coming from your cam angle sensor, valve cover gasket, and front and rear crankshaft seals. Front wheel bearings need to be addressed on track cars, and leaking clutch slave cylinders seem to be a common issue. Hydraulic lifters have a tendency to break down with age, but aftermarket replacements are inexpensive to replace with aftermarket ones. 1990–’95 transmissions are weaker than the ’96-and-up transmissions due to singlecone synchros, but updated, used transmissions are readily available and are a direct bolt up. We have many available through The Parts Group. It’s not a bad idea to think about upgrading the smaller differential on a 1.6-liter car to the larger and more durable unit from a 1.8-liter car. You will need both axles and the driveshaft from a 1.8-liter Miata to complete the upgrade. Shocks, springs and anti-roll bars are also common upgrades that can make a big difference in performance. If it’s time to replace your engine, think about going with a quality, used 1.8-liter engine from a second-generation car. The benefits include more horsepower, better torque, and getting rid of the hydraulic lifters by going to solid lifters. It’s also easier to find a quality used, later-style 1.8-liter engine than a 25-year-old 1.6-liter engine still in good shape. Make sure when doing a timing belt change to replace the camshaft seals, water pump and front-lower crankshaft seal. This will save money in the long run. Likewise, when replacing your clutch, always replace the clutch disc, pressure plate, pilot bearing and throw-out bearing together as one job. This is a great time to replace the crankshaft rear seal, too. If you’re shopping for a car, I would recommend a 1994 or 1995 car. The main reason is the larger 1.8-liter engine, larger brakes, larger differential and the simplicity of OBDI. However, any 1990–’97 Miata will put a smile on your face. Nice overview of the NA. "Hydraulic lifters have a tendency to break down with age, but aftermarket replacements are inexpensive to replace with aftermarket ones." The factory shifter is nearly perfect, "short throw" is unnecessary. Most NA Miatas do however need to have the two shift boots replaced. Seals noise and heat out of the cabin. Motor mounts are also a weak point and likely shot by now. Don't forget to change the fluid in the tower and the transmission. Many forget the fluid in the tower.